Event published March 18, 2019 — 3 p.m. 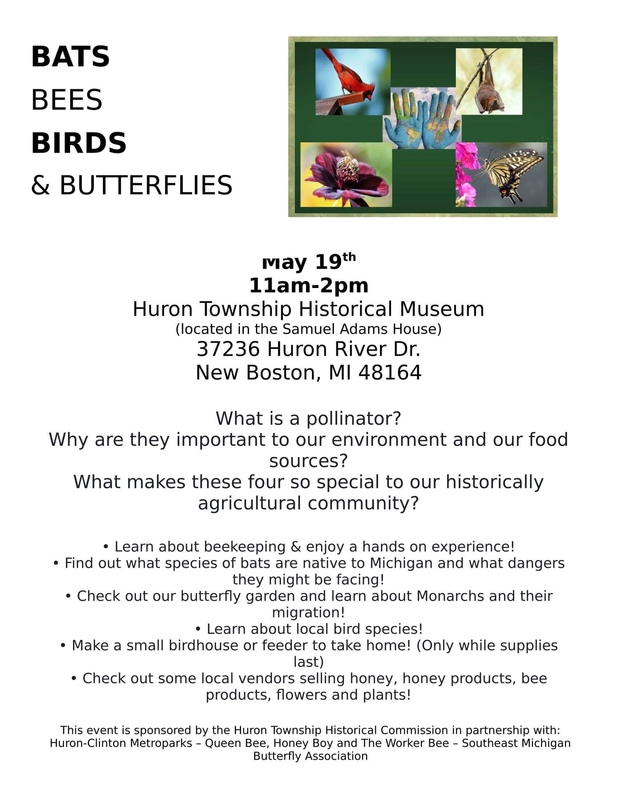 The Huron Historical Commission is hosting an event in May that will educate attendees on pollinators. Featured will be birds, bees, bats, and butterflies. The event will be held May 19 at the Historical House/Museum in downtown New Boston. This entry was posted in Front Page News on March 18, 2019 by Scott Bolthouse.